ICRR Stone Arch Bridges, Dixon, Ill.
600 block, West 1st, 2nd & 3rd streets, Dixon, Ill. 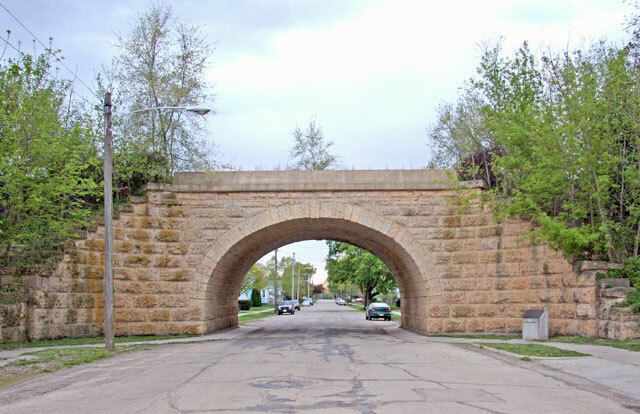 These three historic arches, spanning consecutive streets on the city’s southwest side, represent an exciting era of growth and advancement – not just for Dixon, but the entire state. In 1852, ICRR started work on the Dixon-to-Freeport route and created a 15-foot-high dirt embankment for the rails, extending from West 7th Street to the south bank of the Rock River. In 1855, these and a stone pier trestle across the river were finished. The three “sister bridges” have the same 28-foot arch span but vary in height and depth, depending on the topography. They’re made of yellow Galena limestone, quarried at local Dement Quarry. To withstand the weight and vibrations of the trains, they were individually cut to fit, carefully balanced and pieced together, one on top of the other, with notches and keys rather than mortar. They have required virtually no repair in 157 years. A visit here is a walk back in time – literally. 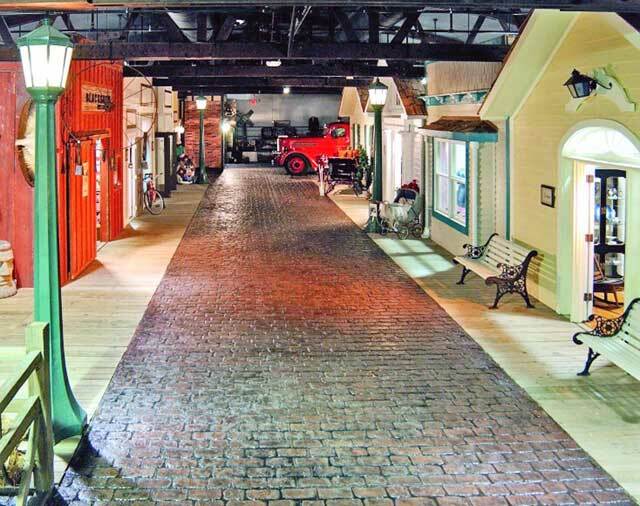 Recreated within the reclaimed 1929 Wisconsin Power & Light building is Lake Geneva’s Main Street, with life-size displays spanning 60 years of the town’s progression, from 1870-1930. Lake Geneva became a haven for wealthy Chicagoans following the Chicago Fire of 1871, and grew into the popular tourist destination it is today. 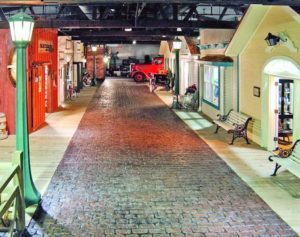 Among the museum’s Main Street sights: a log cabin displaying Potawatomi artifacts and an arrowhead collection; a telephone switchboard office; a fully stocked general store; a fire engine house with an 1890s hose wagon; and a 1920s dental office. Rather than just peek in from behind velvet ropes, however, visitors can actually walk in and get a close-up look at the furniture, clothing, photos and other artifacts. In addition, the museum features exhibits on many other aspects of Lake Geneva’s history, such as Yerkes Observatory, once visited by Albert Einstein; the mansions built by families with names such as Wrigley, Sears and Pinkerton; and the boats and yachts of Geneva Lake. Stone Corner, near Oregon, Ill.
1269 Honey Creek Road, Oregon, Ill.
John Barnhart is a true rock hound and history lover, both passions inspired by this property when he was a child. The farm marks the site of Watertown, a small but thriving settlement eclipsed over time by surrounding communities. It was here that Civil War veteran Virgil Reed made his homestead in 1869. He began collecting stones and carving into them the names of men he’d served with, and building freestanding rock monuments to their bravery. 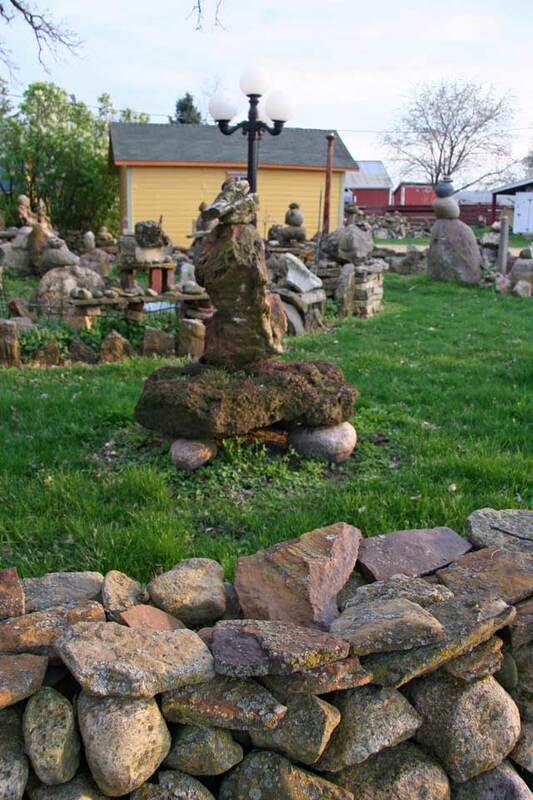 Eventually, the yard was filled with these special stones, and the intersection became known as Stone Corner. A certified organic farmer, Barnhart farms with antique tractors and sells produce directly to consumers. He grew up just down the road and knew the farm’s history well, thanks to school field trips there. In 2005, he purchased it and renamed his business Barnhart Stone Corner Farm Market. He resolved to restore the farm. He’s managed to track down and repurchase all of the original carved stones and rebuild Reed’s original sculptures as accurately as possible. He’s restored the house, built by Reed to resemble the nearby Lighthouse United Methodist Church, including a custom-built stone chimney that contains Civil War cannon balls. Most recently, he repurchased the farm’s largest stone, a 4-ton boulder that took Reed an entire summer to move, using horses, planks and pipes. Barnhart wants to bring back school field trips and is working to get the farm listed on the National Register of Historic Places. “I love the place, and I plan to put it into a conservation easement, to keep it this way for future generations,” he says. Read more about our region’s unique character in Genuine Northwest Passions, and meet inspiring leaders who live for their work. This entry was posted on Thursday, May 24th, 2012 at 12:00 pm	and is filed under Genuine Northwest. You can follow any responses to this entry through the RSS 2.0 feed. Both comments and pings are currently closed.